Connecting with long-time friends can be difficult after divorce. Many friends may have sided with your ex-spouse. When you were married, you may have had certain habits that you fell into. You may have had certain friends that you hung out with for couples’ nights or for other types of social occasions. You may have grabbed a drink with the guys or hosted a football watch party with other married couples. When you go through a divorce, these types of situations can change. You may have long-lasting relationships with these friends, but everyone reacts to a divorce in a social circle differently, and depending on the person, it can change your relationship. As awkward as divorce is for you to experience, your friends also will experience some level of awkwardness that will dictate many of your social interactions with them. They may not know what they should and should not bring up, and they may not know what to do. They may have been close with your ex-spouse and are not sure how they personally feel about the fact that you two are no longer together or anything that may have transpired during the divorce process. They also have to navigate their own loyalties. Many attach themselves to one person experiencing a divorce and lose touch with the other. Sometimes, it is unintentional. Sometimes, a friend of yours stays a friend of yours and loses touch with your ex-spouse when you divorce. Sometimes, that is not the case. There are social situations where you may have introduced a friend to your ex-spouse when you still were married. They became friends, and when the divorce occurs, you lost that original friendship. A person who was your friend suddenly has changed their view of you and has gravitated toward your ex-spouse. 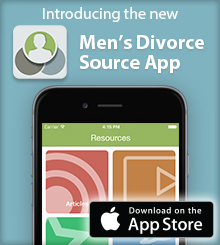 Suddenly, you no longer have that person to talk to about what you are going through in post-divorce life. You no longer have that person to hang out with, grab a drink, and watch a game together. This can be a loss that you grieve in a similar fashion to the loss of a spouse through divorce. Another issue that you may face is friends unwilling to discuss what you are going through as a newly divorced individual. It is understandable why they would not wish to dive into such a heavy topic. They might be newly married or in a place in their lives where they cannot quite empathize with your situation. Some of the actions that occur as a result of a divorce, such as spending less time with your children or having to pay alimony and child support, may be difficult topics that your friends cannot relate to. They also may prefer that you look to vent outside of the friend group. Many friends may prefer that you speak to your family law attorney about modifying your divorce decree, in order to change the circumstances surrounding your divorce, or to a mental health professional, in order to improve your mental health and wellness. You may have friends who do not want to be your shoulder to lean on or your ear to listen. That is okay, so long as you do not push the situation. You always can utilize the comfort of other friends, who may be more willing to empathize and help you through this challenging time in your life. That does not necessarily mean your unempathetic friends are no longer your friends. It just means that they have emotional boundaries in place within your relationship, and while they may wish to continue to hang out and shoot the breeze with you, they do not wish to get into the complex emotional tapestry of the divorce that you just experienced. In terms of relating to a situation, since every divorce is unique, they may not quite understand all of the complexities surrounding the situation, which is why it is important to go into a social setting with that sense of understanding. You should not avoid social settings, due to your divorce. As much as you may want to seclude yourself and avoid people after the emotionally draining experiences of the divorce process, it is neither healthy nor helpful to you to avoid human interaction. You cannot allow your divorce to define you. You have a new opportunity ahead of you, and through your reliance on those willing to help you and empathize with your situation, you have the opportunity to move forward with your life.